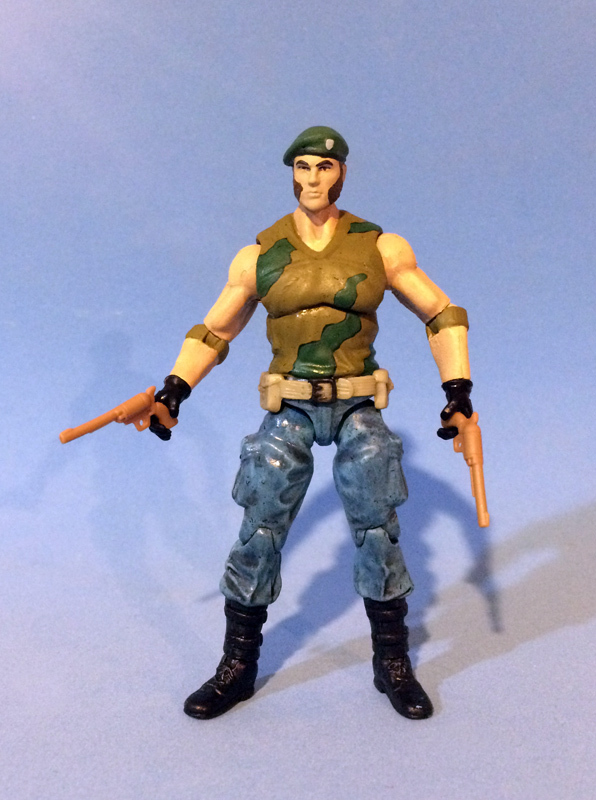 Knuck Williams is one of Action Man's compatriots from the mid-90's toyline, appearing to fill the role of cholesterol-filled big lug brawler. I imagine he probably likes his alcohol, too. These parts make a large frame body. The Bazooka torso is a bit more fitting than the Copperhead/Roadblock would have been, as its midriff area is a bit wider. A streamlining of one of the toys' color set. 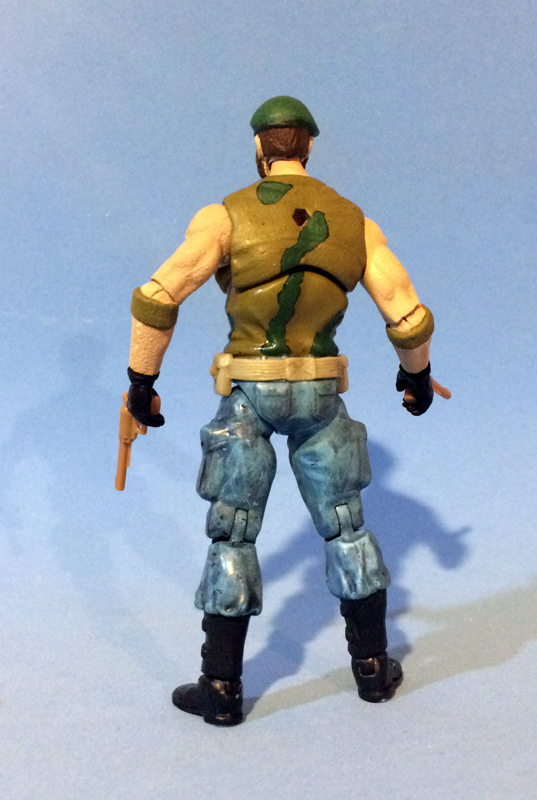 The sideburns are epoxy sculpted.